Perennial flowers are the gift that keeps giving. Some of them never seem to stop! That’s when dividing perennial plants comes in. Division is the process of splitting a large plant into a bunch of smaller ones. There are a few different reasons you might want to divide a large clump of plants. Plant division is a great way to make more of a certain plant. If you have an empty spot and you need something to fill in but you don’t want to buy something new, why not take a division from something you already have? Division can also make plants healthier. Some plants are so vigorous that grow themselves to death. Ok, maybe that’s dramatic but they will grow until they stop blooming or start to die from the center outward like a really sad donut. 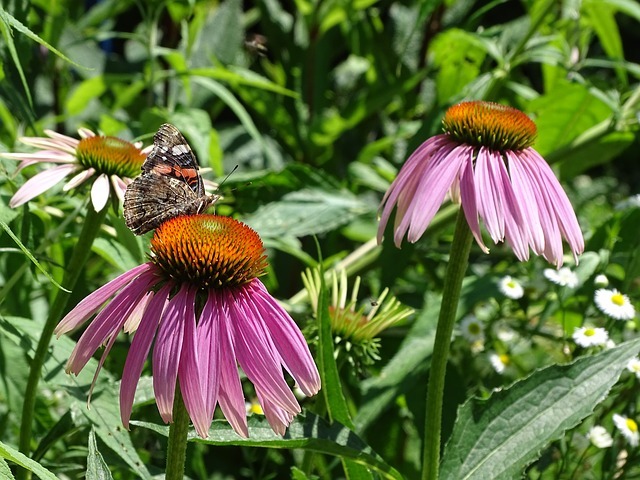 Not all perennial plants need to be divided but the following list is a great place to start. If you are curious about anything flower garden related check out The Flower Gardener’s Bible, it’s my go-to for flower garden knowledge! Of course this is the first stop! 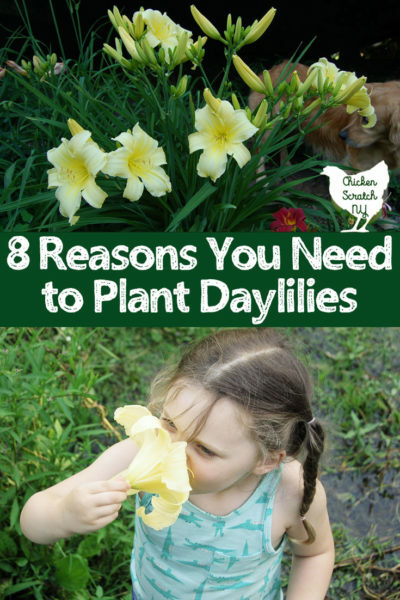 I’m a huge daylily fan (ha! pun!). I have a large daylily only garden that I can see from my bedroom window and it’s a constant source of joy. One of the great things about a daylily garden is how different it can look every day! I have a mix of colors, sizes and bloom times in my daylily garden so the show never disappoints. They are hardy plants, it takes a lot to knock one back (trust me, the geese have tried). In fact, they grow so well they can get too congested and start to decline. A great way to prevent or cure that is by digging them up and dividing them. Daylily segments are called ‘fans’ and you can start a new plant for a single fan. If you want to fill in faster start with 3 or 4 fans in a group. 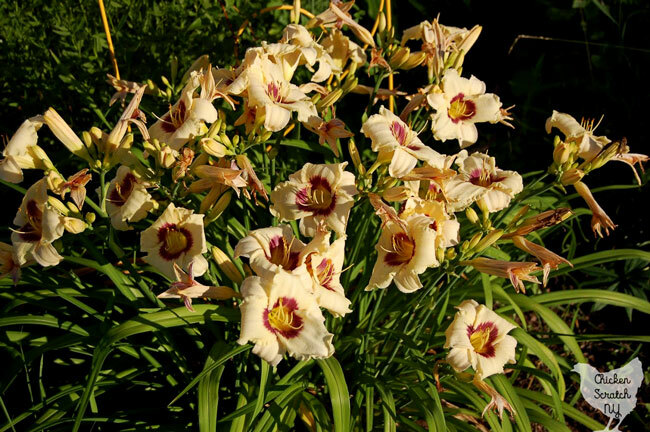 The best time to divide daylilies is in the early spring before they’ve gotten too big. This year I have to dig up the no-name daylily in my front bed because it’s getting too congested. I’m looking forward to moving some to the back and giving the rest away. It’s the pretty two-toned one pictured above. Hosta is another plant that just grows and grows. Hosta clumps can get really big and crowd out other plants. Another reason to divide is for the health of the hosta itself. Over time the plant will start to die off from the center. Another sad donut. Like with daylilies early spring is a great time to divide hostas. You can see the new growth coming up and it’s much easier to know what you’re digging up without all the leaves in the way. I try to make a note in the late summer or fall of which plants need to be divided when the spring comes. Dig up the clump and slice off a section to replant. Aim for a few buds per clump but they’ll grow even if you only leave one. 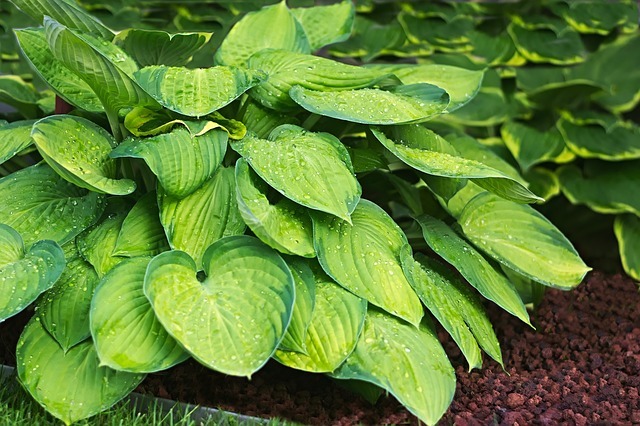 Spacing will depend on the size of the hosta variety. You can divide plants in the fall, it’s actually recommended for early spring bloomers, but I’m in zone 5 and we get some nasty winters. I avoid planing anything but garlic or flower bulbs in the fall if I can. I have a pretty white bearded iris right next to my front door. It’s a favorite of mine because it was blooming when I brought Kat home from the hospital. It really needs to get divided, it’s apparently very happy and it’s currently taking over a large sedum and a penstemon. 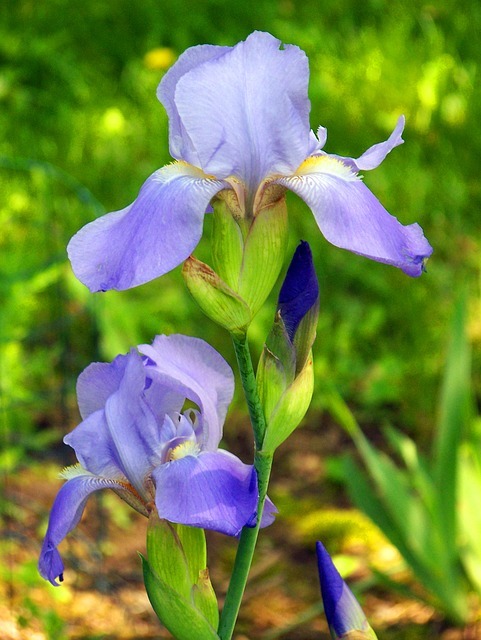 Bearded iris grow from thick rhizomes, they often peak above the soil. If you notice a decline in the number of blooms or that your iris patch starts to look more like a mass of light skinned potatoes that a flower garden it’s time to divide. You can dig up the whole mess and slice it into smaller pieces making sure to leave at least one growing point per section. The best time to do this is after they bloom. Cut back the foliage, the plant will recover better if it’s only trying to support 6-9 inches of leaf instead of a foot or more. Plant the divisions 18 inches apart with the rhizome just below the soil. Bee Balm is related to mint. If you know anything about growing mint you know that means it’s pretty easy. In some areas bee balm is evergreen but where I live it dies back to the ground every winter. It starts to come up pretty early in the season. The new growth is usually pretty spread out. When it starts to come up you can use a shovel to separate a small piece with 2-3 growing shoots. There’s no need to dig out the entire clump to divide it. 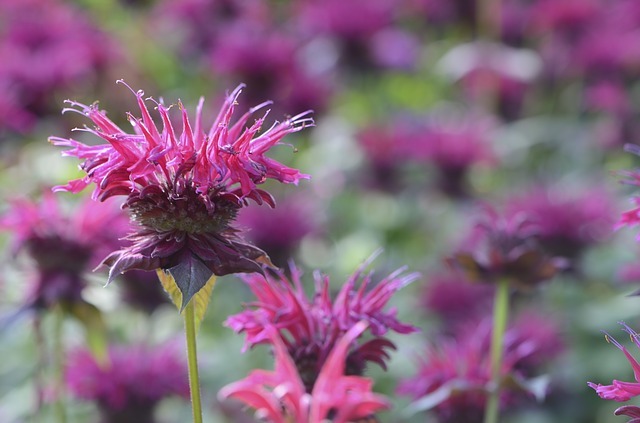 Bee balm grows quickly and you’ll hardly notice you removed anything. I have bright red bee balm with huge, sometimes double leveled flowers and a smaller, bushy pinky-purple bee balm. The purple bee balm tends to get mildew by the end of the summer so I’m going to move it to a sunnier spot this spring to see if that helps. I started my purple cone flower collection with four tiny plants from a local nursery. Over the years they’ve spread through reseeding and enlarging clumps. Luckily I love them and I don’t have a problem with them growing all over the place. I could cut back on the reseeding by removing the seed heads but I like to leave some treats for the birds. It’s funny to me how well they grow on their own because I can’t for the life of me get them to grow from seed. Every spring I dig out seedlings that sprout up from last years flowers. They are pretty sturdy and transplant well. You can also divide older plants by digging up the clump and splitting it into smaller clumps. Unlike daylilies, hosta and bearded iris its not something that needs to be done regularly. 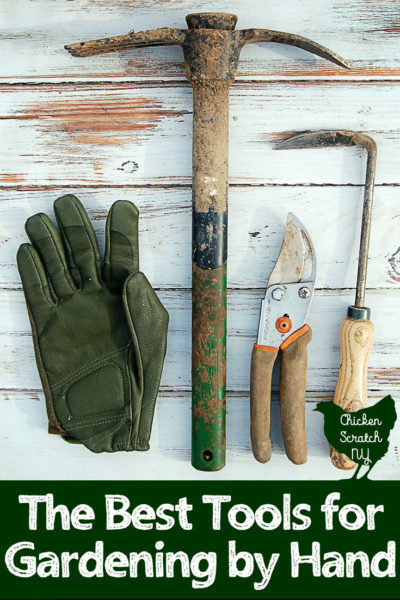 Don’t forget to PIN this to your Gardening Board! This is awesome! Thanks for the great tips. Our yard is currently being overrun by day lilies and hosta. I would be so happy to share them and now I know I can! The bee balms are beautiful. Never seen them before ? Your plants are so lovely! The pics are such high quality. Can’t wait for spring and summer to be able to enjoy the garden! Great read! I have split my hostas several times, they are such a hardy plant. I had never seen bee balms before and I didn’t know mint was easy to grow…I may have to plant some. I’m having flashbacks to a house I had moved into that was overrun with daylilies. 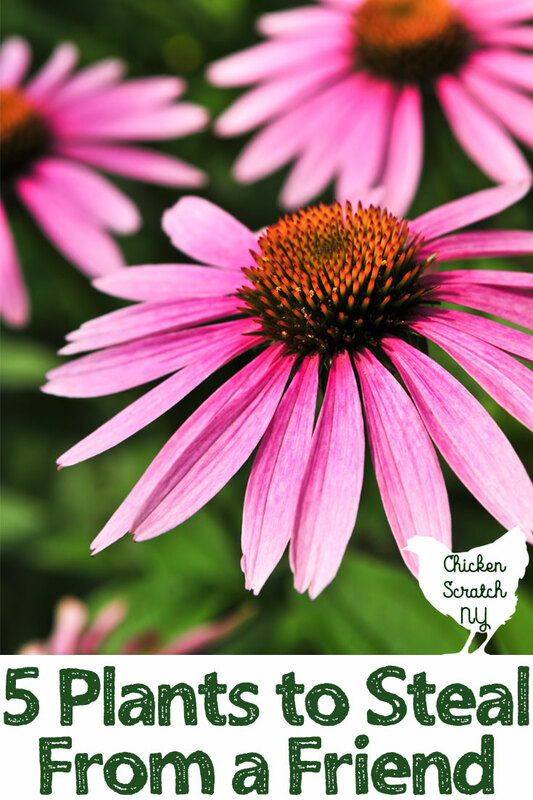 I love them too, also a huge fan of coneflowers! Now if only spring would show up here ? Lillys are my favorite! I didnt know you could split so many of these plants!! I love this type of gardening, somehow it’s more rewarding then growing something brought from the nursery. Great tips! LOVE this post title! I live in the desert southwest and I bet the same thinking applies to some of the plants that we grow out here! Very nice post with nice images and great tips! I found this to be very interesting, because I didn’t know that dividing plants was a thing! But it’s useful since I’m planning to have gardens in the next couple of years when I buy a house. I’ll probably be coming back to this when that time comes! You are the gardening master!!! Taking care of plants and knowing what to do with them is something I definitely want to get better at. We just bought a house and the previous seller left us with a huge garden that’s about to grow back, and we have no idea what to do! A bunch of daffodils just sprouted that we thought were weeds, haha! Thanks for the tips! Good advice! I’m not really a gardener and I would never have thought to do this. The title is pretty catchy as well, and I had no idea what I was about to read when I opened it! My mother-in-law actually taught me how to divide flowers and I’ve been hooked ever since! I love fresh flowers! Love iris! One day when I have my own garden I will have those for sure. Love to start gardening.. BEE BALM may be first thing I want to grow as its mint based plant so easy to grow it!!! Than check out others from list!!! Get a powdery mildew resistant variety! I am unhappy with mine that aren’t. I don’t have anything close to a green thumb, but your article makes me feel like I could give it a try. The iris flower is beautiful. Would love to learn how to grow it. Great tips and beautiful flowers! I find it so hard to maintain my garden what are a few hardy plants that you would recommend? I love your day lilies and bearded Iris . They would ook beautiful in any garden would you recommend them? Make sure to glve your garden time to “wake up”. If you don’t you will be mistaking flowers for weeds!